Compare prices from several car hire companies in Vigo and find the best price for car rental. Our prices always include unlimited mileage and insurance. 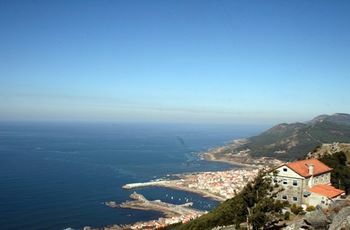 Vigo is located in northwestern Spain, about 30 km north of the Portuguese border. Vigo is a city that borders the Atlantic Ocean and is one of the most important and largest ports in the world. The population is measured at almost 300 000 (2009). Old Town is a charming town with narrow and steep streets. Of the sights you may see several churches from the 1100s such as Santa Maria de Castelo. As Vigo is an important seaport, it is possible to visit the Museum of the Sea, which is devoted to the sea, while the Museum of Contemporary Art is one of the most famous museums of contemporary art in Spain. Vigo – Peinador Airport is located about 8 km outside the town and offers flights to major cities such as Barcelona and Paris.